You’ll want to send out invitations to your tournament three months before the event itself. The invitations should clearly state the date, time and place. Once you have an estimated number of guests you can decide on appropriate pre-tournament promotions to build excitement. A golf umbrella or a divot repair tool is a great way to get people excited about playing in the tournament. 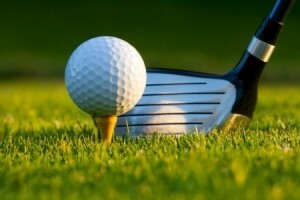 Customized golf tees and balls from Spotlight Apparel are a great way to put a personal touch on your event. Registration at the event is the ideal spot for distributing gift bags. Choose a quality tote to hold items your guests can use during the tournament, such as a sports bottle, golf towel, balls, tees and divot repair tools. Tote bags offer practicality and can be used for light travel, day trips or as a gym bag. It is also a good idea to include a product your guests will use long term, such as a golf-themed pen. Here’s a chance for you to show your goodwill in more ways than one, by holding a raffle for charity at the event. Decide on an amount per ticket and supply a unique prize such as a golf bag that players would appreciate winning. When it comes to awards at the end of the day it’s easy to make anyone feel special! You should decide on how many awards to distribute and what to give prizes for. Celebrate any achievement from longest putt, longest drive, closest to the pin, low foursome, low golfer, etc. Post tournament gifts are a great way to thank your guests. Picture frames make for a nice decorative piece and will give your clients great memories of your event. Posted in Promotional Products and tagged golf tees, golf tote bags, golf tournament, golf tournament awards, golf umbrella, picture frames.